Vienna is located on the Danube, in the northeast part of Austria. It is the capital of Austria and has a population of over 1.5 million people, nearly one-quarter that of the entire country. 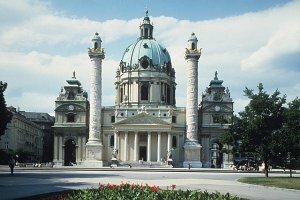 Long been the seat of the Habsburg dynasty, Vienna retains its imperial style, with grand boulevards and imposing architecture. 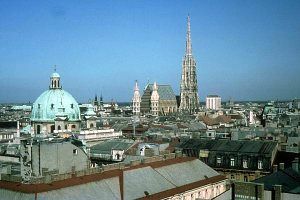 The heart of old Vienna is the Innere Stadt (Inner City), an area surrounded by a horseshoe-shaped wall that confined the city as late as the 1850s. In 1857, Emperor Francis Joseph decided to raze the wall and replace it with a boulevard, the Ringstraße (Ring Street). Along this beautiful boulevard a collection of buildings of varied styles. The University of Vienna (originally founded in 1365) was rebuilt in a neo-Italian Renaissance style; across the park is the City Hall, a neo-Flemish Gothic structure. The State Opera House (Stadtsoper) is reminiscent of early French Renaissance buildings. Within the Innere Stadt is Saint Stephen's, a Gothic cathedral first built about 1135 and rebuilt, following a fire, during the 14th and 15th centuries. The oldest part of the Hofburg, the imperial palace of the Habsburgs, dates from the 13th century; the chapel (15th century) is now the home of the Vienna Boys Choir. As the strength of the empire grew, the Habsburgs moved to summer homes beyond the protection of the city walls. Schönbrunn Palace, in the southwest part of the city, dates from the late 17th century; the Belvedere, by Johann Lukas von Hildebrandt, from the early 18th century. The headquarters of the International Atomic Energy Agency, the Organization of Petroleum Exporting Countries, and the United Nations Industrial Development Organization are located in Vienna. Vienna has one of Europe's richest musical heritages. Franz Josef Haydn began his career in the boys' choir of Saint Stephen's. 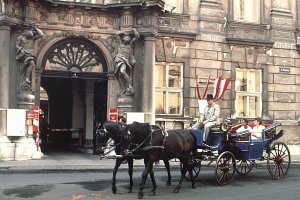 Beethoven, Mozart, the Strauss family, Schubert, Brahms, Bruckner, Mahler, Schoenberg, and Richard Strauss all lived and worked in Vienna. 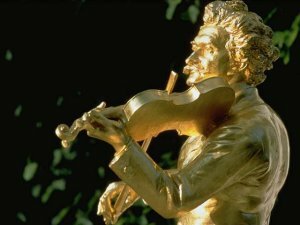 The Vienna Philharmonic Orchestra may be Europe's most respected symphonic company. Nearly 30 museums house extensive fine arts collections; these include the Historical Museum of the City of Vienna, the Museum of Fine Arts, and the Albertina, in the Hofburg.